Boating, hiking, beach going... it's awesome fun in the summer, until you get a nasty sunburn. While you may try to stave off the worst of it with sunscreen, too many hours and too much water can even render a high SPF sunblock useless. So what can you do to ease the sting of your sunburned skin? Reach for some good old fashioned natural home remedies, of course! Aloe Vera - Perhaps one of the best known and most useful plants for sunburn. Just break off a frond, split it open at the seams, expose the clear inner gel of the plant, and gently smear the cool soothing gel onto the sunburned area. Scratch the inner meat to secrete more gel from the plant until it is gone. If you have any left over, put it in an airtight container, or wrap it in plastic wrap or a sandwich bag, and place it in the refrigerator to keep it fresh. Witch Hazel - You can buy a commercially prepared extract from most pharmacies and grocery stores (in the first aid section). Using a cotton ball or soft cloth, apply witch hazel several times per day to the burn. Witch hazel is cool and soothing, and useful for minor scrapes, cuts or burns. Echinacea - This herb can be used for sunburns both internally and externally, as a topical application or compress. Make a tea using 1 teaspoon per cup of water, using 1 cup for drinking, and another one for a compress. Soak a cloth in the cooled tea, and place the cloth over the affected area. This will help to kill and repel bacteria on the skin, but also stimulates skin cell repair. Ginger - Using the fresh root, grind a small portion into a pulp, drain liquid into another container. Using the juice from the ginger root, wipe or pour it over the burned area, and place the pulp onto the skin. This will help to sooth the sting, and help lessen the pain of the sunburn. Chamomile - This is a wonderful herb for skin repair, stimulating the healing process, soothing irritated nerves, and preventing infection. Use Chamomile topically as you would echinacea, by soaking a cloth in cooled tea, placing it directly onto the sunburn as a compress. After doing much research on this topic, I found that there were many people searching for answers on the internet, and with relatively no information available to help. For that reason, I have decided to share my experience with swollen glands and problems with the lymph nodes. For nearly the past three years, the gland on the left side of my neck/throat area has been swollen and painful. It was painful, and it seemed that there was no end in sight. For quite some time, and for the most part of the first year and a half, the "infection" that was causing my gland to swell, also caused an infection in my skin that resembled acne. From that point, I was determined to find what was wrong. A visit to the doctor proved unsuccessful, as did a second opinion. I decided to "flush" my system out. While this did help with some of the pain on some days, the swelling would return, causing more pain. It seemed that this cycle was never ending, and I almost gave up and decided that it was something I'd have to live with. A few months later, I reconsidered. I chose another physician, and tried my luck. She gave me some Bactroban for the skin on my face, which helped clear the blemishes overnight - literally! That was amazing, but she also gave me a "sulfa" type medication to clear the infection. She said to drink a lot of water, or the medication may cause trouble by storing in the liver. Well, being a person who has taken very few pharmaceutical medications in my lifetime, I obeyed her orders. One week later, and no more medication, the swelling had not subsided. I once again returned, and let her know that there was some improvement, but that the problem still persisted. She this time prescribed two weeks worth of medication. Well this time, I had some internal pains that I assumed was a sign that my liver was being overtaxed. There was still no drastic improvement, so I decided that the doctors were not going to be able to provide a viable solution. The bloodwork did show that there was a very low to no chance of cancer or other serious problems. Again, I felt defeated, and gave up again for a while. A few months later, I found myself wandering the isles of Wild Oats, and natural and herbal store along the same vein as Trader Joe's. My son was looking for something fun to buy, and I was just wandering aimlessly, wishing I had some of my herbal books to look a few things up. We paid, and as we were leaving, the cashier and I got to talking, and I mentioned the problem I have had, and she said, "Don't leave yet." She went and fetched the resident herbalist, who asked me my symptoms. I told her, but was not very hopeful. She immediately pulled a small brown bottle from the shelf, and when I saw the name of it, I was surprisingly hopeful. It was called Lymphatonic. There were several other brands and types of a similar concoction, but this tincture was the least expensive. She said I would need to take it for about two to three months, due to the length of time it had been swollen. I have been taking the tincture for about a month and a half, and am happy to report that the swelling is nearly gone, and the pain has been substantially reduced! Although I feel that I have a good amount of time left before the problem has been completely cured, I feel like there will be a day when my gland returns to its normal size, and I will be pain free. Lymphatonic is designed to completely clean out the lymph nodes and glandular system, which is exactly what I needed. The herbs in the particular tincture that I purchased are: Echinacea root, Red root, Ocotillo, Burdock root, Chinese Licorice root, fresh Dandelion (whole plant), Yellow Dock root, Wild Indigo roots, Blue Flag root, and Stillingia root. If you can't find the tincture, and you believe that you could benefit from these herbs, you can either make your own tincture from the herbs above, or try using them together in a tea. There are several online sources for lymph gland cleansing remedies, and they seem to have similar combinations of herbs, and would probably provide a similar benefit. Whether you are stressed out, having trouble sleeping, or just wish to sooth the nerves, valerian root is an excellent remedy. Valerian is useful in relieving general nervousness, preventing insomnia and promoting sleep, and also relieving the symptoms of overall stress. It is helpful to take valerian about an hour before bed, and can either be taken as a hot tea, or encapsulated form. 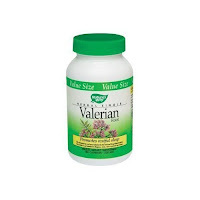 Valerian can be obtained as a dry roots, tinctures, tea bags or capsules. Never boil valerian root, which can destroy the herbal properties of the root. Be sure to check with your doctor if you have any conditions or are taking medications that could affect your ability to take valerian root. Valerian also has other useful properties, it is an antispasmodic, a carminative, a stimulant, sedative, hypnotic, and a nervine. When taken as a hot tea, it can bring about menstruation, as well as relieve the pain of menstrual cramping. So instead of reaching for a bottle of Midol, make a healthy herbal tea to soothe your symptoms. It will calm your nerves, help you get the rest you need, as well as relieve the pain you suffer.